The American crime fiction writing is on the rise for a last few decades and the notables in the genre include literary giants like Michael Connelly. He holds a prominent position in the realm of crime fiction literature, producing numerous tremendous novels. His works have been translated in as many as 36 languages. Born on 21st of July 1956, Connelly belongs to a Philadelphian family. His father was a property developer who wanted to see his children accomplish something. It was his mother who sparked his interest in mystery and crime novels. His family moved to Florida in his preteens. An incident in his life at the age of 16 captured his attention toward crime writing. He observed a stranger throwing away something, at his scrutiny he found out it was a gun and involved the police later. Initially Connelly’s intention was to trace his father’s footsteps. Consequently he opted for majoring in building construction from the University of Florida. However, he found his grades going downhill. Switching his choice of major to journalism was inspired by Raymond Chandler’s novel The Last Goodbye movie adaptation. Michael Connelly started off his career as a crime writer and reporter for a Journal and newspaper before getting his big break. The Delta Flight 191 incident got the media hype those days so he investigated and wrote a piece. With that story he became a Pulitzer Prize finalist and also accepted a job from Los Angeles Times as a crime reporter. His novel writing career began with The Black Echo. The book received positive reviews from critics and won Edgar Award for Best First Novel by the Mystery Writers of America. The novel is based on true incident but also remains part fictional. In the novel Connelly introduced now famous LAPD Detective Hieronymus Bosch’s character, who bore some resemblance to his creator. The name of the protagonist is inspired by a Dutch painter, recognized for his paintings on the theme of sin and redemption. Connelly also views his work as a kind of painting where characters are moving around and colliding with each other at some point. 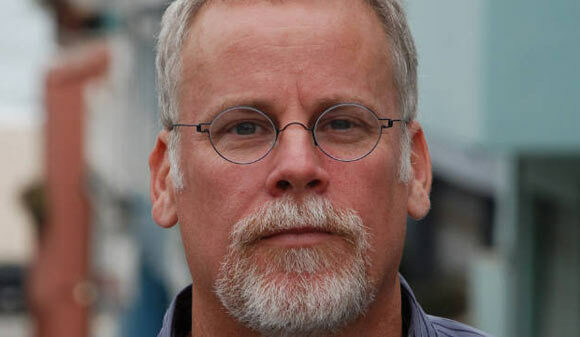 He published two more successful books in the Harry Bosch series The Concrete Blonde (1994), and The Last Coyote (1995) before he started working on different projects. Connelly became an instant success with the publication of his other novels. The Poet (1996) featured a new protagonist named James McEvoy. McEvoy is a crime reporter who investigates his brother’s alleged suicide. First-person and third person narrative is employed alternatively in the novel to shift focus from one character to the other which gives the novel a mysterious air. The book was able to garner 1997 Dilys Award. Connelly’s Blood Work (1998) introduces FBI agent criminal profiler Terry McCaleb’s character. McCaleb had a heart transplant and tries to pursue the murderer of the heart donor. The story was inspired by the organ transplant of Connelly’s friend. The novel’s success led to its adaptation into a movie by Clint Eastwood starring himself as the lead. Connelly delved into legal thriller writing with the publication of The Lincoln Lawyer in 2005. In the coming years Connelly produced numerous Harry Bosch and Jack McEvoy novels. Besides novels, he also wrote many short stories on crime fiction, sometimes even reintroducing his famous characters in them. He has received many awards for his work of art including Anthony Award, Grand Prix Award and Nero Award among others. Connelly now lives in Florida and still pursuing his thriving writing career.